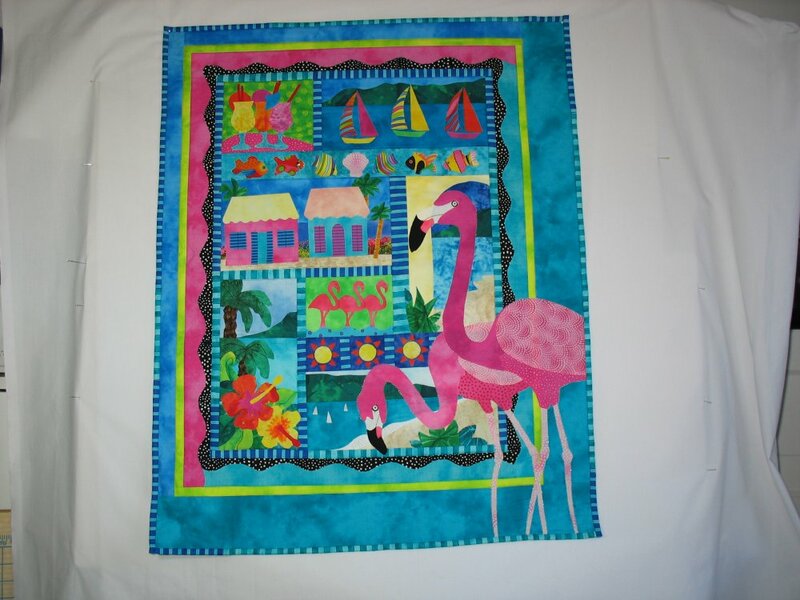 Postcards from Paradise is a 25"x31" fusible applique wallhanging--or it can be 9 small Postcard Quilts. Dive into your scraps and pull out Caribbean colors--azure water, brilliant blue skies, tropical fish, lush foliage and hot pink flamingos. Fuse the appliques to a pieced background to make this dazzling wall quilt filled with colorful images of your tropical vacation.